It’s been quite awhile since I’ve done a write-up on a Duesenberg. This is an SJ, a factory supercharged example. What’s even better is that it has it’s original chassis, engine and body – there aren’t many SJs (or any Duesenbergs) that can say that. The SJ was a supercharged version of the standard 6.9-liter straight-eight that pumps out a still-impressive 320 horsepower. The history of this car is interesting: it was a bare chassis sitting in a Duesenberg warehouse after the great clamor for these cars had passed. 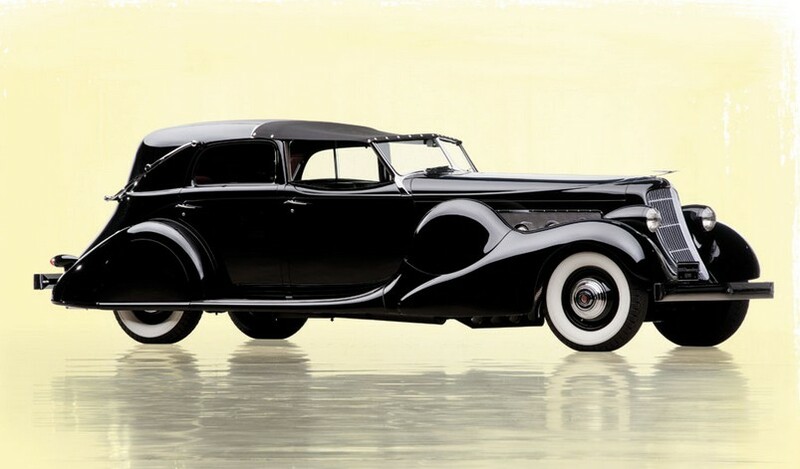 Designer Herb Newport of Bohman & Schwartz penned this body and the car was to be built for Mae West, who bought another Model J before this one was done. Instead, this car was sold to Ethel Mars, of the Mars Candy Company. She was chauffeured around Chicago in this car for years. The car then had a string of Chicago-area owners into the 1960s before Bill Harrah got his hands on it. When his collection was dispersed, this car had a few more owners before RM sold it in 2007 for $4.4 million. So how rare is this combo? Well, it’s a one-of-one design and it’s one of only 36 factory supercharged Model Js built (less than 30 remain). Only 10 have one-off bodies on an original SJ chassis. Bohman & Schwartz only bodied nine Duesenbergs and five of those were rebodies – making this one of four Bohman & Schwartz originals. It has known ownership history since new and could top $5 million. Check out more here and see more from The Andrews Collection here. This entry was posted in Uncategorized and tagged 1935, auctions, bohman & schwartz, cars, classic cars, duesenberg, j-553, model J, model sj, sj-553, town car by classiccarweekly. Bookmark the permalink.